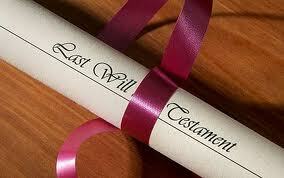 Wills additional trust and clauses that can be added to your Will. Children’s Trust: Without a Children’s Trust inheritance is at 18, this can mean that they have FULL control over ALL the assets left to them. Not only is this possibly placing them in a position of responsibility that they cannot manage, but could also put them at risk from the less desirable elements of society. If your children inherited directly they would not be eligible to any “means tested benefits” this could affect further education, housing benefits etc. By placing your assets in to a children’s trust the assets are still available to them but via the trustee. A Children’s Trust is an additional part of the Will that appoints the executors to act as Trustees until the child has reached a specified age between 18 to 25. This does not mean they have no access, but expenditure is controlled by the Trustees, in line with your wishes. Typically funds can be used for Education, Health, deposit for a property, purchase a car, or any reason the trustees consider reasonable and in line with your wishes. If you requires additional security consider a Asset Protection Trust. Disabled Child’s Trust: Similar to a Children’s Trust but is designed to last for the life time of the child with addition provision for the distribution of the disabled Child’s assets on death. Family Will: This is a pair of mirror Wills, with guardian provisions and including a children’s trust. Complex Family Will. A complex family is any family group where all the children are not the JOINT children of both parties or where there are step parents / children. Any family group where one or more parties may not inherit if the “Rules of intestate” where applied. If you requires additional security consider a Asset Protection Trust. Property Protection Trust Will a trust built in to a will that can give a right to reside to one person but ownership to another. Typical used where you want your second wife to be able to live in a property but the ownership is to your children. This can also be used to give protection against care home fees but it is not as robust as a Asset Protection Trust. Life Time Interest: this gives one party the right to live in a property for all of their life but the ownership is with another party. Right to Occupy: is similar to Life time interest but is limited to a specific time or event: i.e. until the youngest child is 25 or on remarriage. Business Trust: this nominates separate executors to administer your business. You may want your wife / husband to be your personal executor but might want to add your accountant or business partner as business executors. A personal executor may not be seen to have the authority to deal with agreements relating to the business. Pre-marriage clause. A marriage voids any existing Wills but if a Pre-marriage clause is added the will is valid after the marriage time limits can be included stating the Will is only valid if the marriage takes place within a predetermined time frame.